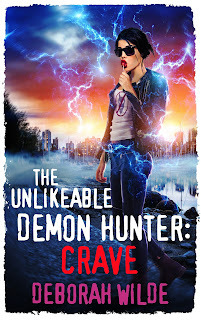 Congratulations to tour winner Juan C.
Goddess Fish Promotions is organizing a Virtual Book Blast Tour for THE UNLIKEABLE DEMON HUNTER: CRAVE by Deborah Wilde, an urban fantasy available February 20 from Te Da Media. The Book Blast Tour will take place on Tuesday, February 20. This tour will not include interviews or guest blogs; however, a blurb, excerpt and author bio will be provided to every host for inclusion on their blog. An epub copy of the book is available for review. Deborah Wilde will be awarding a $10 Amazon/BN GC to a randomly drawn winner via rafflecopter during the tour. seriously messes with your love life. Nava is happily settling into her new relationship and life is all giddy joy and stolen kisses. Except when it’s assassins. Talk about a mood killer. 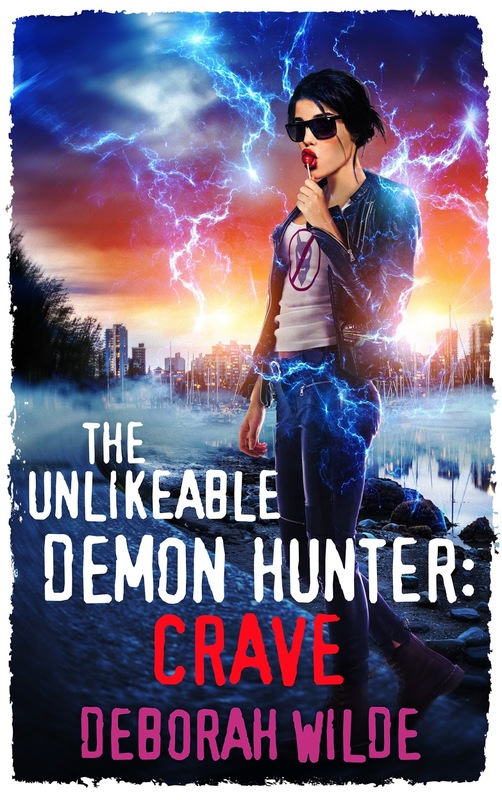 She and Rohan are tracking the unlikely partnership between the Brotherhood and a witch who can bind demons, but every new piece of the puzzle is leaving them with more questions than answers. And someone doesn’t appreciate them getting close to the truth. On top of that, a demon known only as Candyman has unleashed a drug that’s harming users in extremely disturbing ways. After a friend of Nava’s is hurt, she vows to take this demon down. But will life as she knows it survive this mission, or will this be the one time she should have looked before she leapt? Happily-ever-after: barring death, she’s got a real shot at it.